I just came across a post by Carol Feller of Stolen Stitches: Survey results. Any designers out there might be interested in taking a look - she surveyed her readers about what kinds of pattern formats (single, ebook, hard copy) they prefer. The PDFs won by a landslide in Carol's survey: Do you agree? I definitely do. I've always been a bit wary of ebooks as a replacement for dead tree books (real books are easier to page through and never run out of batteries) but I really think that PDFs are the ideal format for single patterns. I was cemented in this belief when I fell in love with and ordered EZ's Green Sweater. I fell in love with the story of this sweater in Twist Collective and its details captivated me. In other words, I needed to knit it, and there could be no substitute. Schoolhouse Press sold the pattern, but only in hard copy format. So I already had my yarn and was itching to cast on, but I had to wait for the pattern to arrive. To be fair, when the pattern arrived it was beautiful - skillfully formatted into an 8.5x11" booklet, in a plastic sleeve, full color and glossy. But the paper pattern can get creased, or torn, or lost, and unless I scan it, once it's gone, it's gone. And having gone through 6 moves in the past 3 years, I worry about important patterns getting lost for good. Digital patterns can get lost too - hard drives fail, CDs deteriorate, email accounts get hacked. But the options for backups are plentiful - the majority of my pattern files are stored not only on my laptop, but also in my Ravelry library, my Dropbox account, my thumb drive, and my iPod. I love PDFs for knitting because they're infinitely portable, I can access them on any of my devices, I can add bookmarks and notes to them just like I could a paper pattern, and heck, I could even print them out if I wanted to. 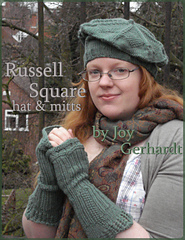 They're instantly delivered and, on Ravelry or Patternfish, automatically updated. It's not as easy to leisurely flip through a book on a screen, so I often prefer paper books for actual reading, but for knitting patterns, PDFs are my format of choice. -- I digress a little bit. Carol's survey is not just about digital versus tangible. It also contains some valuable information about distribution preferences. How many patterns should be in a collection? What kinds of patterns? How should they be released? Very worthwhile reading for any indie designer.